Our blog has been quiet for a few months now. This quiet time corresponds to grad school, which we started last fall with a semester abroad in Israel, and then continued back in the states this spring. We have both been enjoying classes and the associated paraphernalia that comes with them, but it has kept us busy. We break silence on two accounts. First, Ashkelon: Year 2. As we jumped into the study of Ancient Near Eastern History and Archaeology last year, archaeological excavation experience was one of the items that drew us into our current program. Hands on experience, as with many fields of study, is one of the best ways to get out of the classroom and into the real world of application. We both benefited from last years’ experience so much we wanted to go another round, so, here we are. Our “jobs” on the dig this year differ from last year, so we will try to share some of the new experiences, time permitting. But we are already in the third week of excavation, and have not had many moments to spare. The Canaanite-era ramparts at Ashkelon, and one of the oldest archways known to history (partially reconstructed in the second photo below). Above the ramparts, you can see the Philistine tower and the Hellenistic walls. 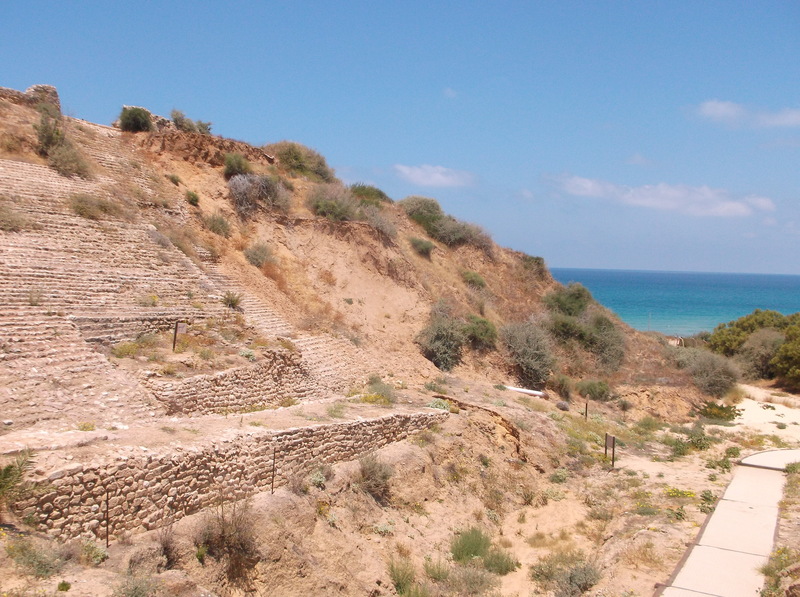 The Canaanite-era ramparts at Ashkelon. Above the ramparts, you can see the Philistine tower and the Hellenistic walls. 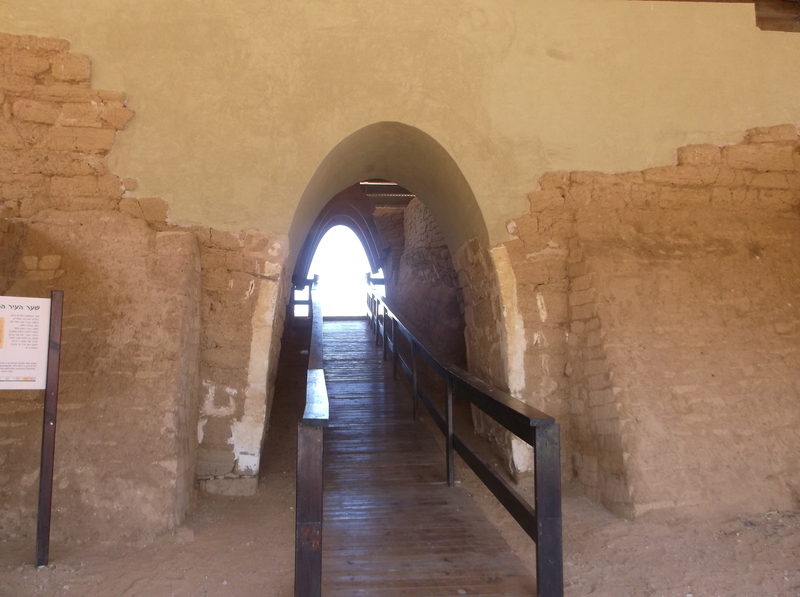 One of the oldest archways known to history (partially reconstructed). Looking down Tel Ashkelon from the north (photo below). From this vantage point, its citizens could watch ships coming from Egypt or Phoenicia to participate in the lively trade for which it was famous. 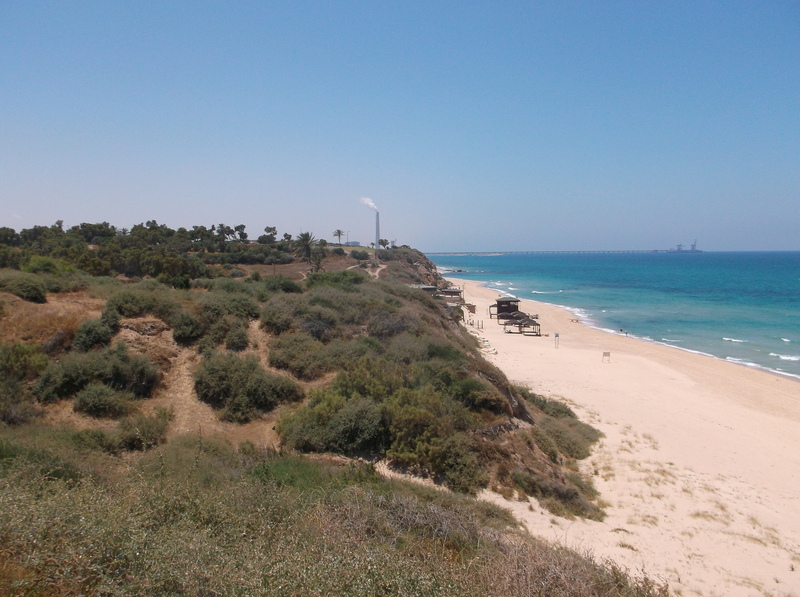 View south from Tel Ashkelon, along the beach. Our itinerary for these travels had a specific purpose. We were attempting to visit the most prominent sites and landscapes mentioned in the Biblical text, which were easily accessible in modern day Israel, and provided good photographic opportunities to illustrate what the Biblical writer was seeing—or envisioning (if not directly viewing a location or landscape). We have put together a small photo package that includes high-resolution photographs, as well as smaller presentation-sized photographs of 25 Biblical places and 25 Biblical landscapes, all within Israel. The package is just a few dollars and is instantly downloadable (via email links, which will arrive shortly after purchase). You might ask, “Why would I purchase this when I can Google image search and scrape images from the web for free?” Good question. If you want free images, Google image search to your heart’s content—everybody does it. The benefit with a packaged product like this is one downloaded package (or two, for the combination product), descriptions of the places and their relevant mentions in the Biblical text, and simple maps showing the locations or perspectives of view. All of this with photos with good light, color, angles, and high-resolution. All of this in a streamlined package directed toward these sites and cities of the biblical text, for only $5. You can view the locations and landscapes on the product pages. For school projects, sermons, or lectures for those who have not been to Israel, this would be a great starter package for you. Even if you have been to Israel and made your own photos, maybe you could not get good shots as part of a tour group, maybe you did not visit these sites, or maybe your photos are shot out of a bus window. These were all issues we had on or first tour to Israel. It was a great tour, but when we were on our own, we could get all the shots we wanted, and we thought others may want them as well. That’s all for now. Hopefully, there will be more about Ashkelon in the days to come as we continue our second season.